As I have said in a few other posts, I spent some time in culinary school. This means that when I read a recipe, I have a way of looking at it that others may not. When I see a piece of “culinary jargon” I know exactly what it means and could bore you with information about it. This means that when I cook, I find it is a relaxing and enjoyable experience. I meet a lot of people who don’t feel the same way about cooking that I do. They either don’t understand the techniques that a recipe calls for or they may not feel comfortable trying something new or different in the kitchen. I blame our entire culture of convenience for this problem. Cooking has become something that we try to do quickly and effortlessly. I’m not against using methods or tools that make the task of cooking easier but our reliance upon convenience has caused us to forget how to cook. This has also contributed to a number of the weight/eating related problems that we face as a society. If you are a part of the majority of people who do not feel as comfortable in the kitchen as they would like, I sincerely hope that the following information about healthy cooking techniques is helpful for you. If you have any questions or have tips of your own, please post them in the comments. Baking is not just for breads and pastries! Often, the baked foods that we eat are full of trans fats and sugars because those ingredients work well in a baking environment. However, don’t be fooled into thinking that baking is just for cakes. It is a great substitute for frying foods. 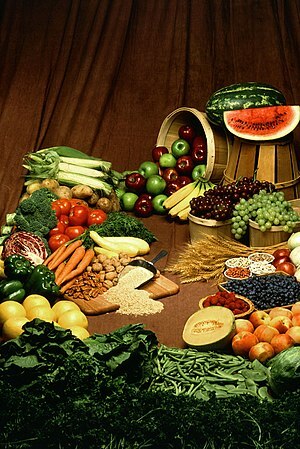 You can bake seafood, poultry, lean meat, vegetables and fruits. For baking, all you need to do is place food in a pan or dish and let the hot, dry air of your oven do it’s thing. You may cook the food covered or uncovered. Unlike a lot of other cooking methods, baking generally doesn’t require that you add fat to the food. Baking is different from roasting in that it is usually done at lower temperatures. It’s an easy way to get great, healthy food. As they say on the backs of the shirts at Chipotle, “Braising is Amazing”. This technique is great for dealing with foods that are a bit tougher or harder to cook because of their texture. It’s also a great way to keep food juicy and tender. Braising involves browning the ingredient first in a pan on top of the stove. This is an important step to building up layers of flavor. After the ingredient is sufficiently browned, slowly cook it covered with a small quantity of liquid, such as water or broth. In some recipes, the cooking liquid is used to form a flavorful, nutrient-rich sauce. It’s not too hard to turn a liquid into a sauce but try to avoid using a roux. A roux is a mixture of flour and butter. It’s great for thickening a sauce but it’s not a healthy way to do it. A lot of times I use corn starch to thicken a liquid. You mix the corn starch with enough cold water(!!) to dissolve it. You then add the liquid mixture to whatever you’re trying to thicken and bring it to a boil. Once it is boiling, the magic of the starch unleashes and the sauce thickens right up. If it’s not thick enough, you can add a bit more. is done on a special device (often outdoors with a six-pack or bottle of wine). Both methods use a ridiculous amount of heat and cook foods very quickly. I find myself turning to the broiler to finish off a dish more than half the time I cook. It’s a great, but underutilized, tool in virtually every kitchen. Broiling is a great method to put that finishing crispy texture on a food or to quickly get vegetables cooked up to be served with a meal. 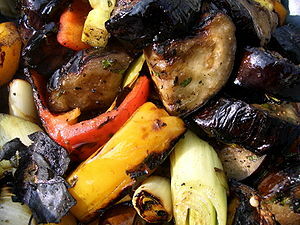 If you are grilling veggies, use foil or a long-handled grill basket to prevent pieces from slipping through the rack. This lets you get the great flavor that comes from grilling without the pain of watching your food fall into the fire. For broiling, place the food on a broiler rack below a heat element. Whether grilling or broiling, the fats that are in a food have an opportunity to fall away from the food you’re cooking and makes them a bit healthier. If you make a pizza in the oven, giving it a minute under the broiler at the end will crisp up the cheese and really do wonders for the finished product. Poaching isn’t just for eggs or most British food. It’s actually a very gentle way to cook foods. To poach foods, gently simmer ingredients in water or a flavorful liquid such as broth or juice until they’re cooked through and tender. The food retains its shape during cooking. For stove-top poaching, use a covered pan that best fits the size and shape of your food so that you use a minimal amount of liquid. Poaching is great for pears and for boneless, skinless chicken breasts. If you do decide to poach an egg, you want to use the freshest egg you can find and then you may still need to add a little vinegar to the water. The vinegar will help the egg to hold its shape in the water. Roasting is probably the method that I use most in my kitchen when I’m using the oven. As I said previously, roasting is usually done at a higher temperature than baking. You can roast foods on a baking sheet or in a roasting pan. For poultry, seafood and meat, place a rack inside the roasting pan so that the fat in the food can drip away during cooking. In some cases, you may need to baste the food to keep it from drying out. Basting is simply brushing on some liquid on the food as it cooks. Otherwise, your food may become to dry or tough because of the dry hot air in the oven. It also helps to put a small container of water on a lower shelf of the oven so that water can evaporate and keep the oven moist. This is a trick I use when roasting something that can dry out easily or I will use it when baking bread to build up a thicker crust. Sautéing is a way to quickly cook relatively small or thin pieces of food. Traditionally, you sauté food by cooking it in a small amount of oil. If you choose a good-quality nonstick pan, you can cook food without using the fat. Some of the best non-stick pans I’ve ever found have been the $12 specials at restaurant supply stores. They’re durable, slick and lightweight: all important factors when finding a sauté pan. Depending on the recipe, a low-sodium broth, cooking spray or water can be used in place of oil. If you are going to sauté something, make sure that the pieces of food are relatively the same size. This will help them to cook uniformly and be done at the same time. When you sauté, you can either use a wooden spoon to stir the ingredients or you can develop the skill of pushing the pan away from you quickly then pulling it back. This causes the food to jump out of the pan and land back inside it. It looks cool and the ladies love it. Steaming has to be one of the simplest ways to cook food. One of the simplest cooking techniques is steaming food in a perforated basket suspended above simmering liquid. If you use a flavorful liquid or add seasonings to the water, you’ll flavor the food as it cooks. I don’t use the bamboo basket in my kitchen but use a steamer insert and put it in one of my big pots. It’s great for cooking veggies or fish or other light foods. Just because you are steaming a food doesn’t mean that you can’t dry it out so you do need to be aware of how the food is reacting to being steamed. This is also a great way to cook veggies if you don’t want to leach too much color out of them. This is traditionally an Asian method, stir-frying quickly cooks small, uniform-sized pieces of food while they’re rapidly stirred in a wok or large nonstick frying pan. You need only a small amount of oil or cooking spray for this cooking method. That usually keeps things healthier than the sauté technique if you absolutely must use a fat to cook the food. Obviously this is great for veggies and meats and is often a method I use to finish a food when I’m cooking it. I may prepare rice in one pot and then prepare veggies in another and then combine everything for a quick stir fry in my wok at the end. It helps balance flavors better than combining things together for the first time on the plate. Creating meals using spices and herbs is one of the best ways to add color, taste and aroma to foods without adding salt or fat. Use fresh herbs that look bright and aren’t wilted, and add them toward the end of cooking. Even better, get them at a local farmer’s market so that you know where they came from. Add dried herbs in the earlier stages of cooking. When substituting dried for fresh, use about one-third the amount or you will overpower the food with the flavor of the herb. When you see recipes that I have created myself that I post on this blog you will often see cayenne pepper listed prominently on the ingredient list. This is my personal taste as I like foods with a kick and the spicier the better. The great thing about herbs and spices is that you can find the ones that you like best and use them to make a recipe “your own”. I am going to try to continue to either create of find recipes that highlight how to cook healthy meals while not sacrificing flavor or pizzazz. Check back often for more information. I think next time, I may go over some of the tools that I use on a regular basis and highlight what to look for in choosing things to use in your kitchen.